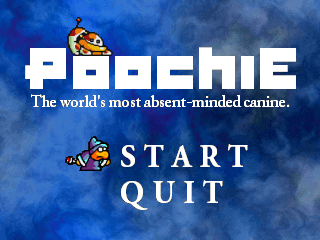 As far as I can tell, this is the oldest thing of mine still available on the internet. I made this when I was 12 and recall being very proud of it, even though I knew a lot of things were broken. 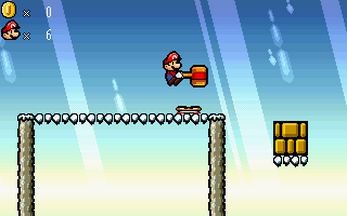 The controls use default TGF platform movement, the firing mechanics are strange (you have to be either pointing exactly left or right, so you can't shoot while jumping or after landing unless you press a direction first - they can be cancelled by other animations, too), and it's really easy to get stuck on platforms - especially the moving ones that don't carry you. 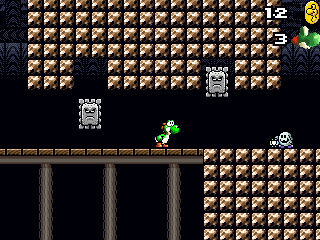 As awful as it all may be, it certainly serves as a piece of strange nostalgia for me. There's a control tutorial at the start of the game. I've included an updated version, as I was able to decompile the GAM file. This update includes proper integer-scale fullscreen, enabled by pressing F8, and disabled by pressing F7. This build also re-enables the Alt+F4 shortcut to quit. Oh no. 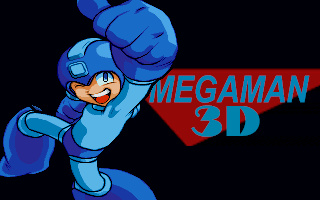 This is a pretty laughable top down shooting game using Megaman Soccer sprites and I believed based on the 3D voxel example found here, or at least something very similar. The enemies just bounce around the stage (mostly randomly, thanks to Clickteam's "bouncing ball" movement preset) and their shots all target you directly while they're on the screen. The tiny, 320x200 screen. 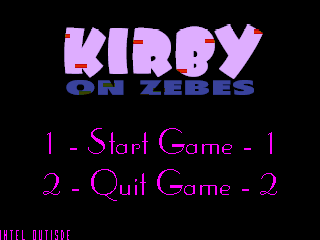 This certainly doesn't play much better than Kirby on Zebes. It does, however, use IT files converted from SPCs for the music, which is neat. I mean, comparatively neat. It also has quite a lot of secrets in it, which I remember feeling clever about hiding. 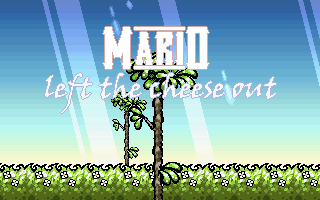 Actually somewhat neat, especially given that when I was going through my files, I thought I made this after Mario Left the Cheese Out. Apparently not! 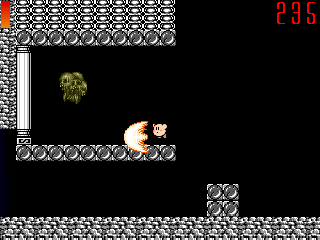 Still uses the default Clickteam platform movement, but this has a kind of neat "dash" mechanic used to attack enemies. I believe the concept was well-recieved at MFGG. The game was never finished, though. 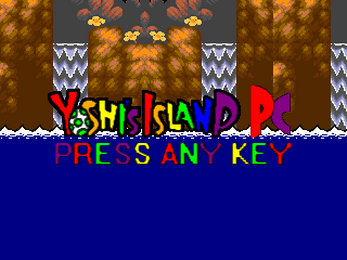 As an aside, I adore that "difference clouds" Photoshop effect title screen. Impressively gaudy. This one kind of put me "on the map" at MFGG. Some of the visual effects are pretty neat, but it's still got a wealth of issues I never got around to learning to resolve. 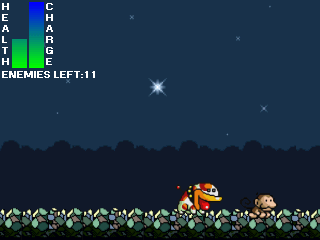 It still uses Clickteam's default platform movement, and I still hadn't figured out how to make the player move with moving platforms. Still hadn't got around to that whole "learning about hitboxes" thing. This game features some of the MFGG community in it. I don't remember a whole lot about my time there, but do look back fondly on what I do recall.I've included an updated version, as I was able to decompile the CCA file. 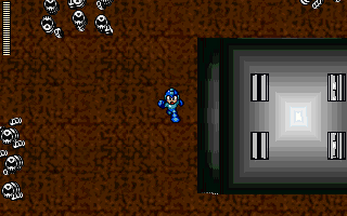 This update includes proper integer-scale fullscreen and runs in the MMF2 engine. The included "controls.txt" file contains the necessary information.